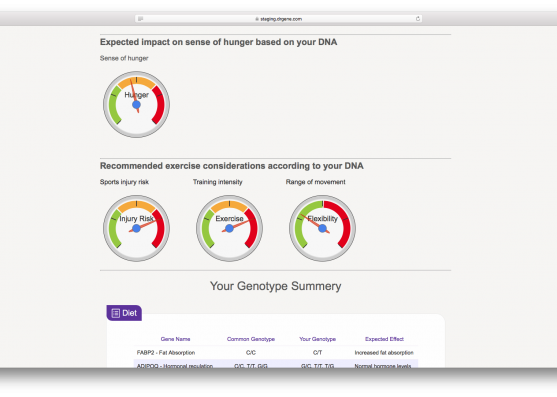 CodeTiburon developed an eCommerce solution for one of the most advanced biotechnology and genetic testing companies in Asia. 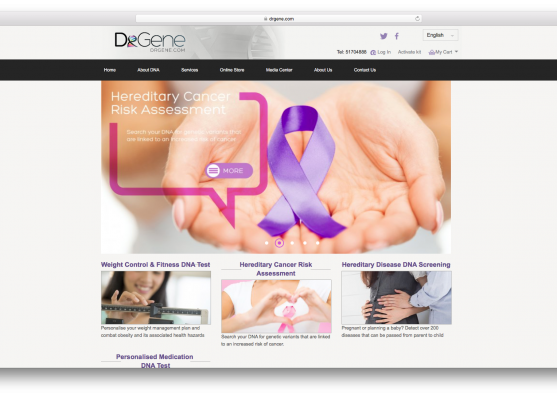 The client – DrGene, Hong Kong Limited Company – is a participant in the direct-to-consumer (DTC) genetic testing industry. 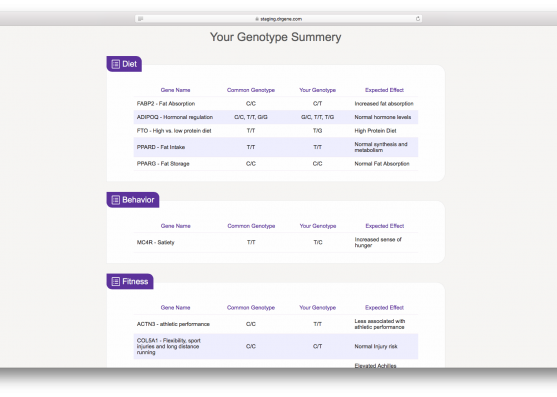 DTC genetic testing is based on the ability to sell tests online, collect samples from the customer at his/her home, sequence or genotype the samples, analyze the results and then provide useful online and offline informational services based on the customer’s genome. The company was going to provide their services in China, Hong Kong, and Taiwan. 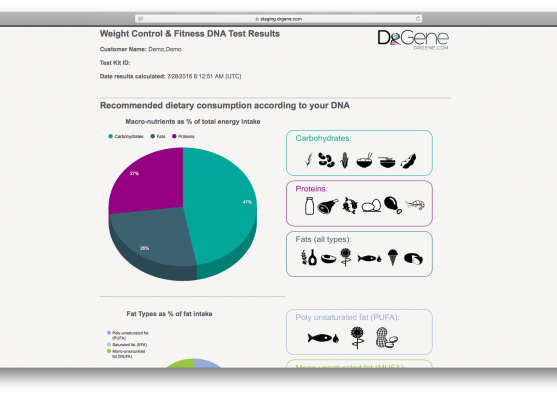 In order to achieve this goal, DrGene requested CodeTiburon to develop an eCommerce solution with an advanced CMS to facilitate a purchase of genetic tests, provide customer support and provide genetic results-based information to customers. CodeTiburon team developed an eCommerce website based on Magento – probably the best eCommerce software in the market today. 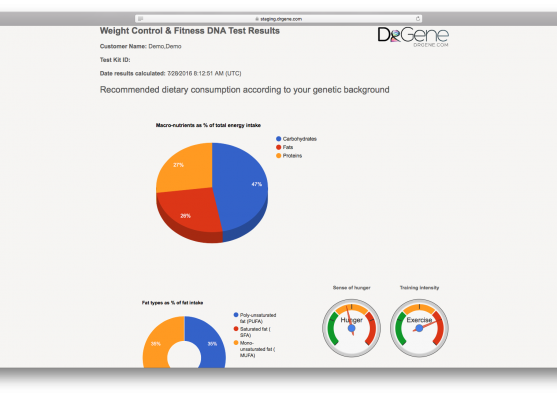 The system was integrated with external CRM software and proprietary genetic lab software in order to store customer data and test results. 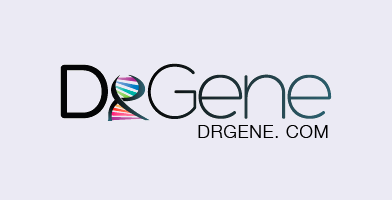 DrGene provides various tests and their results can be represented in a variety of ways. 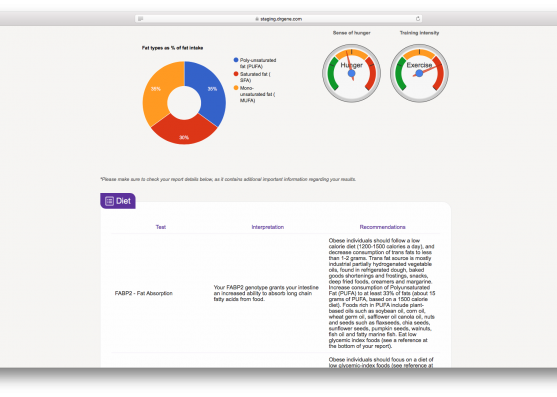 Taking account of this fact, we have built an advanced CMS on top of a standard Magento CMS, which allows content managers to create/edit CMS pages using various widgets (sliders, curves, percentage, gauges) in order to represent the results. 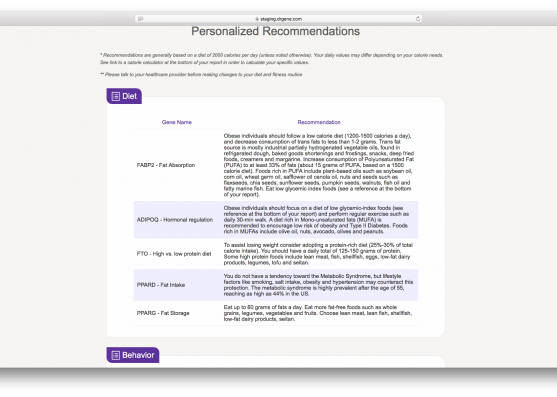 Customers can order genetic tests online using the most popular Chinese payment systems. 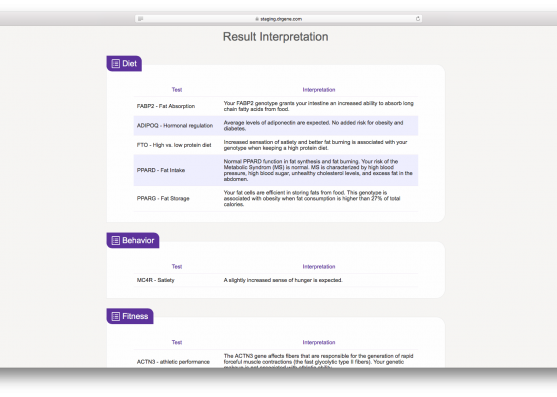 The website supports three languages: English, simplified and traditional Chinese. All the data are stored in a confidential way. The hackers will not be able to get customer’s names even if the web server is compromised. The project was completed on time and within a budget. The first release was delivered in the autumn of 2014. 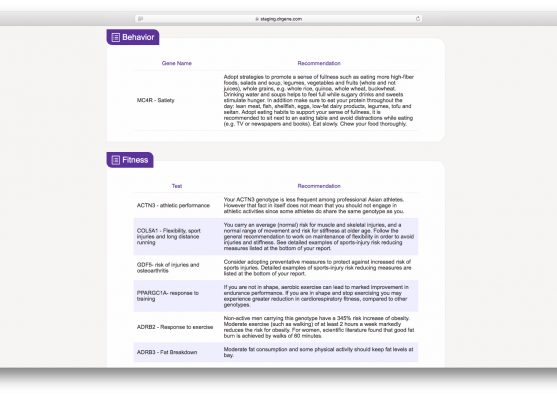 CodeTiburon deployed the website to live environment and transferred all the knowledge to the customer’s admin staff. All the necessary documents and training were provided: special instructions for deployment to production, CMS guidelines. 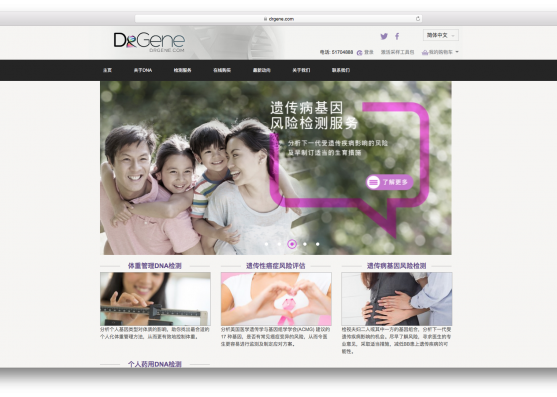 In 2014, DrGene officially launched its genetic testing service in Hong Kong, becoming a pioneer in the industry. 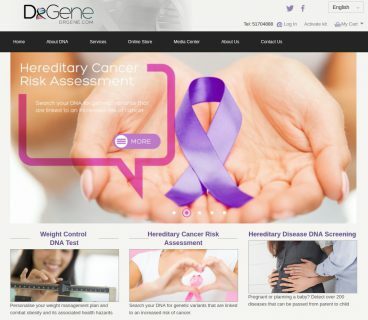 At the moment, the solution allows of accomplishing the ultimate goal pursued by our customer – that of providing the genetic testing services to the Han Chinese population, allowing the general public to understand their genetic blueprints and thereby improve their quality of life through accurate and highly efficient genetic testing. CodeTiburon carries out technical support and continuous improvement of the system.